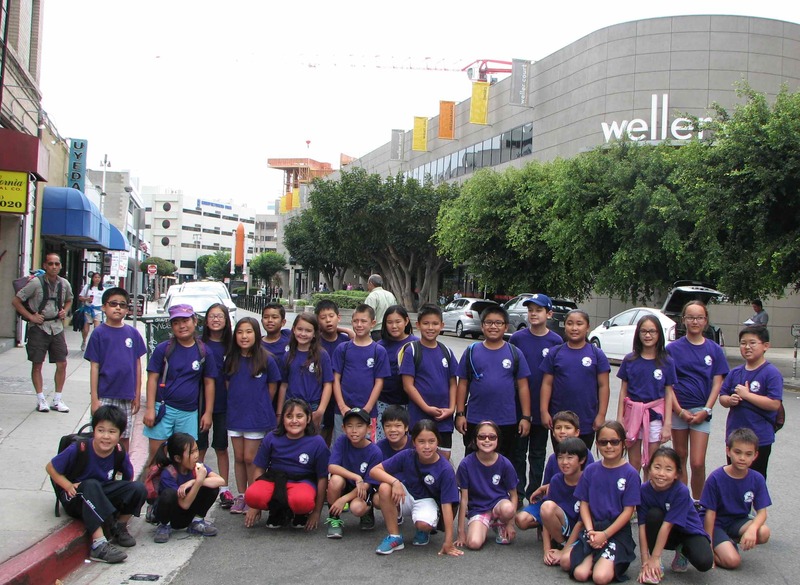 Suzume no Gakko, a summer program for kids sponsored by San Fernando Valley JACL, visited Little Tokyo on July 9. The 52 campers came with their parents, grandparents, siblings and friends, accompanied by the SFV JACL teachers, Nancy Gohata, Linda Tanaka, Paul Jonokuchi, Jaymie Takeshita, and Nancy Oda. For some, it was their first trip to Little Tokyo. Each year, Suzume no Gakko offers different ways for children to embrace their heritage. 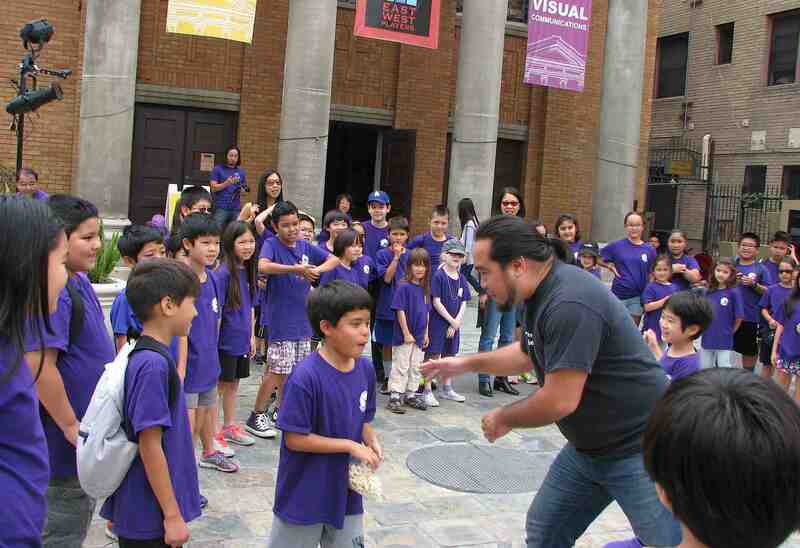 In 2014, the group visited the Japanese American National Museum and later played taiko. This year, they visited historically significant locations such as the Go For Broke Monument, the statue of Chiune Sugihara, the stone sculpture by Isamu Noguchi, and the memorial to Astronaut Ellison Onizuka. As the children were planning to perform “Momotaro” under the direction of Priscilla Mui at the San Fernando Valley Japanese American Community Center the next day, they were given an opportunity to experience standing on the big stage at East West Players. “Through their eyes, they will feel the spirit of our heroes, our eye for beauty in the Kyoto Gardens, and special places like the Moon Mural and Aoyama Tree,” said Oda. For more information on the program, visit www.sfvjacc.org. At East West Players, the kids met Andy Lowe (pictured), production manager, and Marilyn Tokuda, arts education director.